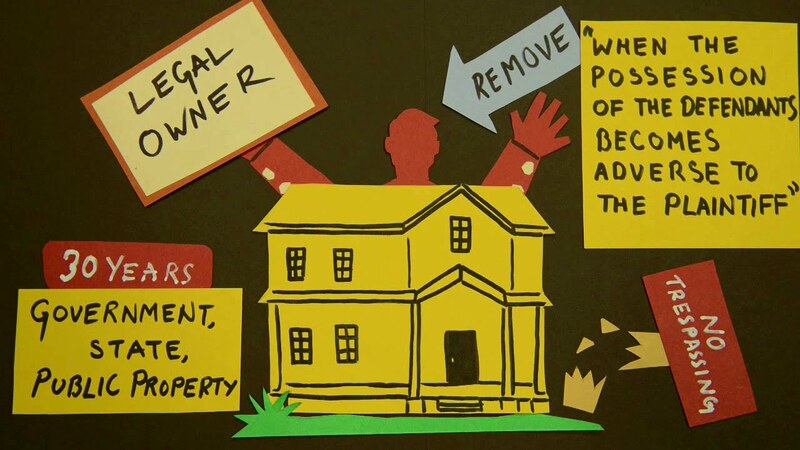 Home Spotlight Adverse possession: Equitable right or legalised theft? Adverse possession is a process by which the entire ownership of an estate is extinguished by lapse of time. For a claim of adverse possession to uphold in Kenya, it must be demonstrated that there has been open, peaceful but permitted possession of an estate in land for uninterrupted period exceeding twelve years. In other words, such possession must satisfy the requirements of the Latin maxim nec vi, nec clam, nec plesario (no force, no secrecy, no evasion). The doctrine of adverse possession has, however, generated a significant amount of controversy in the country. The Court opined that for one, the word “enact” refers to legislation made after the coming into force of the Constitution of Kenya 2010, and so cannot apply to the limitations of Action act, which was in force before the constitution of Kenya 2010. Second, that acquisition of land by adverse possession cannot be termed as “arbitrary” since it is done in accordance with the law. The objection was therefore dismissed. In the case of Mtana Lewa vs. Kahindi Ngala Mwagandi (2015) eKLR, the respondent, Kahindi Ngala Mwagandi, had moved to court seeking a declaration that title to a piece of land had, by operation the principle of adverse possession, devolved to him. The appeal challenged the constitutionality of the doctrine of adverse possession as enshrined in the Limitations of action Act. Counsel for the appellant submitted that the relevant sections of the Act are contrary to the Constitution and therefore null and void. Among the contentions of the respondent was that the Limitation of Action Act violates Article 43 of the Constitution on the economic and social rights since it would impoverish the owner of land. Reforms required in this area, as observed by Justice Ouko, must include reasonable compensation for the paper owner for the loss of his land, since in the case of squatters and displaced persons; Section 135(3) (b) of the Land Act makes provision for a fund to be used in purchasing private land to settle such class of people. Second, the most appropriate way of hearing the paper owner of the land is by a procedure. In England for example, the owner is given notice on the 10th year to decide his fate with regard to his ownership of the land. Only after the owner fails to take advantage of this window can it be safely concluded that he has lost interest in the property. Third, 12 years is not sufficient to justify loss of land. During this period the owner of land could be planning a project, and therefore absence from the land does not necessarily imply disinterest in the property. While there are philosophical and social bases for the adverse possession, the Legislature must strive to strike a balance so that the end result is equitable for both parties involved.